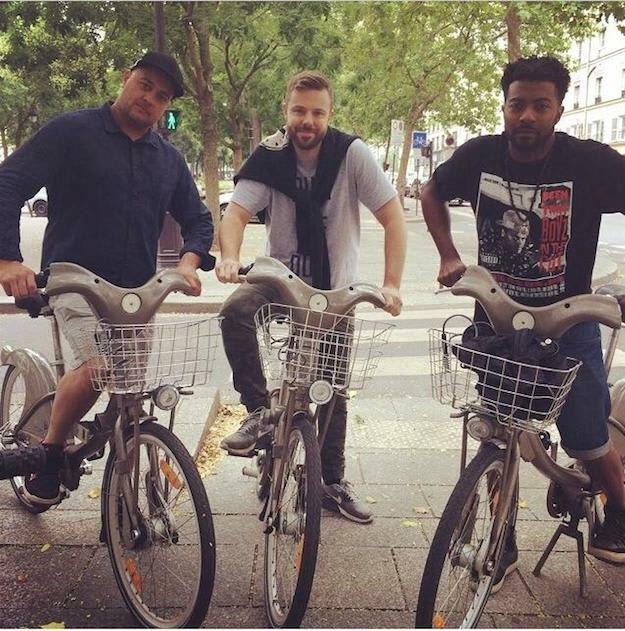 I&apos;m always wary of fandoms that seem to exist around a single artist or group, but in the case of Keys N Krates, I totally get it. 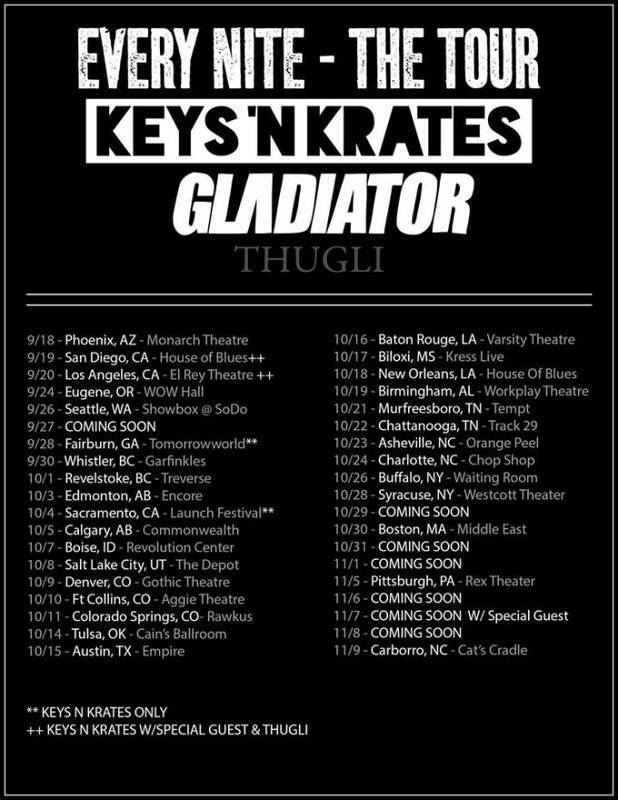 Musically on-point and known for putting on spectacular live shows, KnK came through the motherlode of goods for their fans (and the Internet at-large), confirming not only a six-track EP, called Every Nite, but also a gigantic, 37-date North American tour with co-headliners gLAdiator, along with Thugli as support on select dates. The EP is due out September 23 on Dim Mak, and the tour runs from late September to early November. Safe to say we&apos;re going to be hearing a lot from these dudes in the next few months. We&apos;ve got the EP tracklisting and tour dates below, and while I&apos;m as amped as anyone, I can&apos;t write this and let it go unnoticed: there is a HUGE gap of any appearances anywhere even close to the Midwest. No Chicago, no Milwaukee, no Detroit, Minneapolis, St. Paul, Kansas City, St. Louis, Des Moines, Omaha-anything. Here&apos;s hoping that some of these dates to-be-announced resolve that or somebody kindly lets their booking agent know there are some tens of thousands of interested ravers out here going completely unreached.